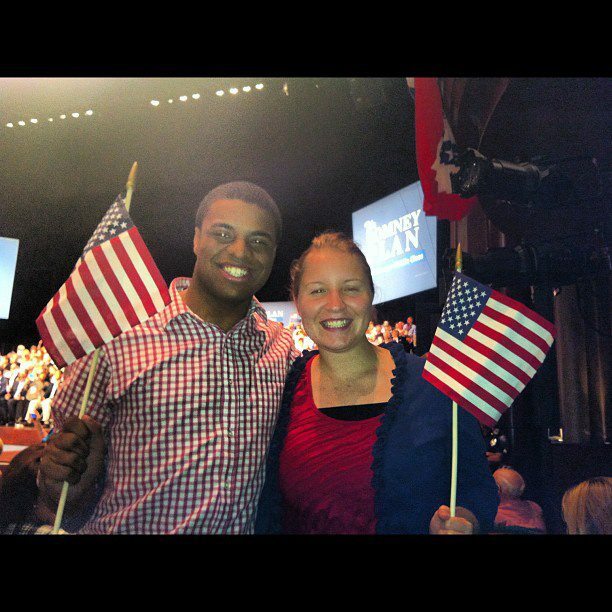 On Tuesday evening, my friend Clarissa from my local church and I found ourselves standing in line at the Christopher Newport University Ferguson Center for the Arts to see the GOP Vice Presidential Nominee Paul Ryan visit Newport News, VA and the make the case for Mitt Romney as the next President of the United States. 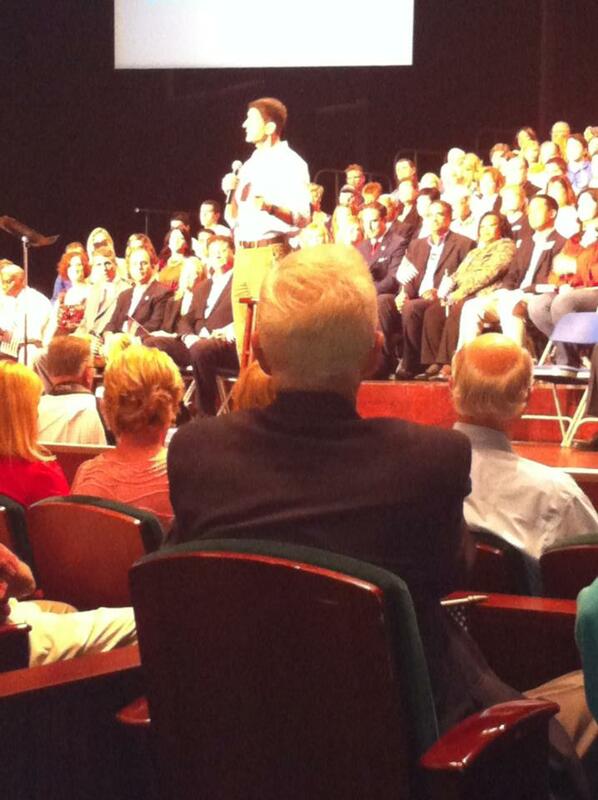 I’ve been to plenty of political rallies over the course of my life and I’ve had the privilege to meet several presidential candidates, but I was particularly excited to meet Paul Ryan as I’ve heard from several friends who have seen Paul Ryan live in action describe him as a “regular guy” who can talk simply, but with much wisdom and knowledge. I’ve heard folks describe him as someone who captivates energy and as an individual who can appeal to all generations. I can confirm that he was genuine, knowledgeable and refreshing as he addressed the crowd, speaking on everything from military budgets, to fiscal reform to American exceptionalism. I was eager to see Ryan, chairman of the House Budget Committee, make his plea to Americans on how this may be our last chance to restore liberty and freedom back to America and to return power back to the citizens of America, not government bureaucrats. He didn’t disappoint by any means. Ryan took the stage to an electric and enthusiastic crowd of more than 1,700 patriots waving American flags throughout the auditorium. 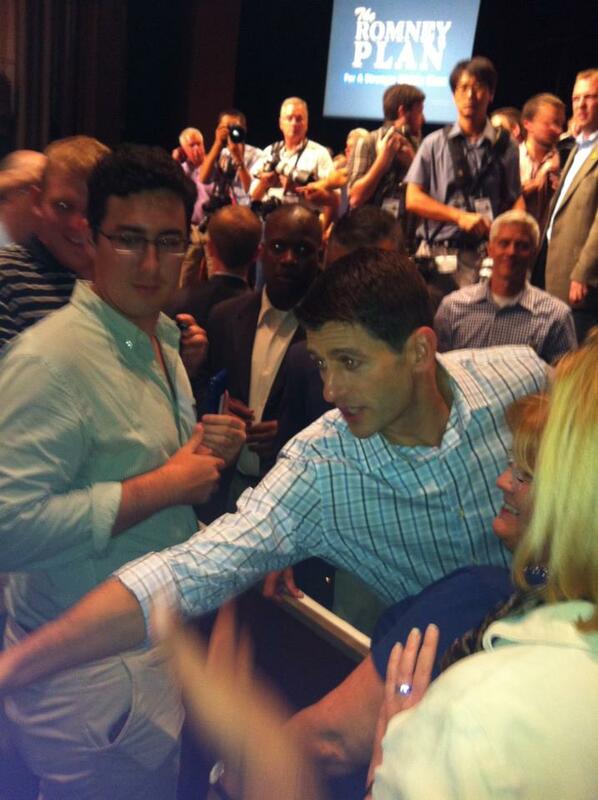 As expected, Paul Ryan passionately made the case for Mitt Romney. He explained how Obama’s $800 billion dollar stimulus package failed to bring the unemployment rate under eight percent. He directly and accurately attacked the President’s lack of leadership and fiscal responsibility by adding nearly $6 trillion dollars to the national debt. Ryan was in need of no teleprompter as he spoke intensely of American exceptionalism and how small business owners built their success and achievements—a direct hit at Obama’s previous “you didn’t built that” remark. He didn’t need notes to remember that a strong military is essential to protecting our nation. “Anybody, whether it’s an adversary who wants to test us or an ally who needs to depend on us, will know that it’s a strong America with an unrivaled military,” Ryan proclaimed in reference to President Obama’s intention of cutting military spending come January 2013. I was pleased to hear Ryan say that “it was our moral obligation” to preserve the American dream for our children and grandchildren by cutting spending. While government has been expanded tremendously, it was indeed refreshing to see Ryan, a relatively young, but polished politician, articulate how serious and imperative it is for us to practice fiscal restraint. Paul Ryan is young, but politically mature. He appeared as someone who is ready to tackle the tough issues of today. He was charismatic, energizing and engaging. This was complimented with his promptness to display his knowledge of substantive issues such as taxes, budgeting, and returning to a capitalistic free-market society, which is the economic engine that propels job growth in this country. The GOP vice presidential pick from Janesville, WI made an easy connection with the audience. He didn’t come across as a seasoned Washington veteran that was only concerned with making more additions to his resume, but was authentic in his delivery and in his passion for defending the American dream. He was relatable, likable and a breath of fresh air in the political spectrum. After his stump speech, he greeted supporters on stage and in the front rows. As he approached me, I shook his hand and said “Thank you for all you’re doing.” He looked at me and said “Thank you for being here. We need you.” It was a simple reminder to me that America is worth fighting for and that with perseverance and dedication, America will once again return to being that shining city on a hill. GREAT ARTICLE, Demetrius! Thank You So Much!